These five rural, socio-economically stressed counties of the interior have relatively few ignitions and a low area burned. Given the flammability of fuels in several of these counties, they may become more like group 3D if fire increases. Example of a Typical County — Mellette County, South Dakota: This southern South Dakota county is mostly grassland. Large wind-driven fires have occurred here and in nearby counties over the last decade. These counties have a history of prescribed fire and could expand or maintain use of this fuel management option. Many of these counties also have nearby forest products industries, so they may consider using mechanical treatments to create a buffer between the forest and the communities before using prescribed fire. These counties could manage wildfires for multiple benefits, but will need an increased awareness of community risk. 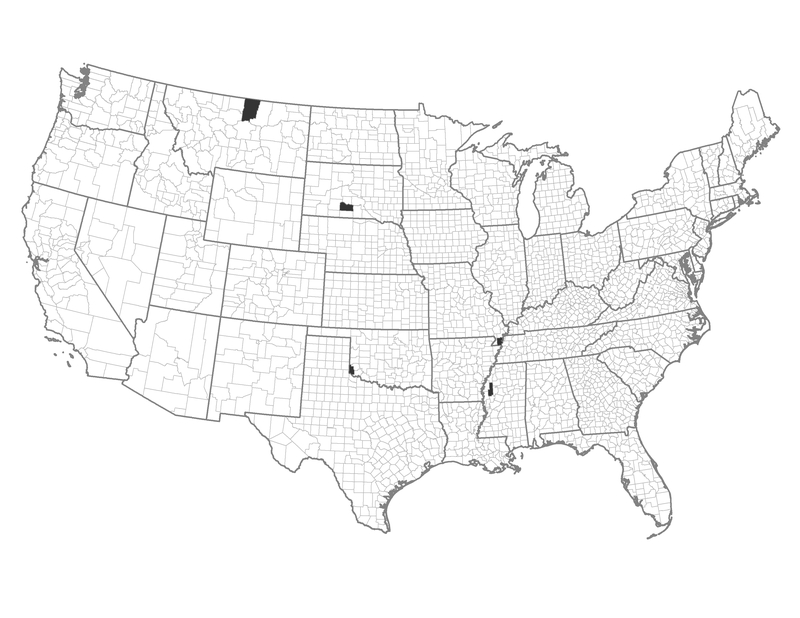 These counties could adjust building and construction codes in non-municipal areas.